My Friend: Hey, do you like chainsaws? Me: Hell yes, I do! Who doesn’t? My Friend: Then you have to check out this movie called Mandy! Nic Cage is the lead. It wasn’t the typical pitch but it definitely got me intrigued. Not just about the movie but about the companies behind it that would produce such a masterpiece (Yes, Mandy is that good!). And one company’s name really caught my eye, Legion M.
I did some research and found that what Legion M did was so cutting edge and forward thinking that I had no choice but to instantly want it to succeed in the biggest way possible. Sure, Legion M produces TV, films, VR experiences. However, it’s their understanding of how to turn investors into fans and fans into investors that separates them from other entertainment companies. When I was offered the opportunity to interview Jeff Annison, Legion M’s Co-Founder and President at Wondercon 2019, I jumped at the chance. James Gavsie (GWW): So, what made you and Paul Scanlan (Co-Founder and CEO of Legion M) say: Crowdfunding for a big entertainment company? Yes. That’s a great idea. It’s never beens done before but let’s do that!’ What exactly made that happen? Jeff Annison (Legion M): I don’t think we can take credit for the idea. Like a lot of people say it’s such a no brainer, right? GWW: Absolutely! I’ve heard of individual film and television projects using crowdfunding but never an actual company. JA: Here’s the thing, if you can create a legion of passionate fans that are behind your movies and TV shows there’s an obvious competitive advantage when you bring it to market because you’ve got a massive audience that’s already invested in it. They’re going to come out opening night. They’re going to bring their friends. We’re going to talk about it on social media. And they’re going to create the sort of marketing buzz that frankly a studio would kill for. As you alluded to there are some real interesting advantages when it comes to having data. And if there’s anything that the rise of digital platforms and content in all its iterations has taught us it’s the power of data. And we think that having a community of people that are invested in the company and who have a stake in its success gives us a repeatable source of data. There’s nothing else out there like data that can give us a huge competitive advantage. And so it’s kind of a no-brainer idea. GWW: Ok, if it was such a no-brainer idea why hadn’t anyone or any other group tried this before? JA: Well, up until 2016 it just wasn’t possible. The securities laws prevented it. We were lucky enough to be around when the change happened (referencing the Jobs Act). We were smart enough to see the opportunity and say ‘Wow, this is an amazing idea’ and it’s a once in a lifetime disruptive change to the playing field that is going to enable equity investing in the form of crowdfunding. GWW: This sounds like it was a very big and risky play. JA: It was and we were crazy enough to go for it. And here we are today. We were lucky! GWW: What’s that expression? Luck happens when preparedness meets opportunity? JA: Right. I think that’s what it was and I’m a huge proponent of that. I mean. luck is so important and anything that you do. But you can kind of make your own luck just by.working hard and being prepared. GWW: You know, I did some research on Legion M and you seem to have a team that is second to none. Which I think is a huge part of anyone’s success, right? JA: With our team I’m confident that Legion M can go anywhere and accomplish great things. GWW: I’m going to ask a question I was saving for later on because I think I know the answer to this. 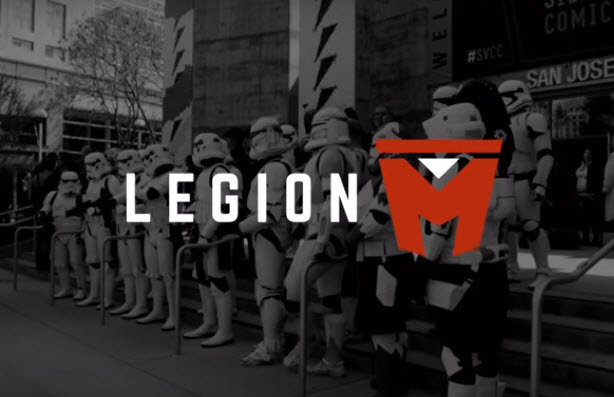 Is the future direction to create a Legion M digital platform? I feel like everything’s kind of going towards that. Will there be a time when Legion M announces their new streaming service? JA: You know, it’s a great question. It’s not in the immediate future. We’re still a startup in the ‘startup’ phase. After some time, though, who knows? To go back to your previous question startups are all about teams because the overall idea starts off as one thing and then it evolves, changes and morphs. This is my third startup and what I’ve learned is that it’s less important that you’ve got the best idea in the world then if you’ve got the best team in the world. JA: Thanks! So I think, to answer your question, I don’t know if we’ll do a streaming service. It does seem like a natural progression. I could see a lot of opportunities. But things are constantly changing. I mean just look at the changes in the entertainment industry over the past few years. And it’s going to continue to change. Go back 20 years ago. Would anyone back then be able to predict what Entertainment would look like today. GWW: So how do you predict what the future of Entertainment will be? And how do you plan for that? JA: You know, I think it’s just as difficult to predict what entertainment will look like in the future as it was 20 years ago. But the one thing that is the most important part of the equation is that it’s our eyeballs and wallets that fuel the entire multi-trillion dollar global entertainment industry. So, our belief is that new and emerging technologies are going to change the business landscape as well as change viewing habits. But at the end of the day, you have to ally yourself with the fans. If you do that you’re going to win. JA: It’s a great question and I think that you totally nailed it. As a business, we’re two things. One, from a financial standpoint we’re a startup company that is swinging for the fences. This is not a ‘I’m hoping to get a 10 percent return’ situation. It’s a ‘I’m hoping to get a 10x return’. If you invest now you’re in on the ground floor of a startup company. There’s a lot of risk but think of the startups that succeed. Those that do can change the world. But the other part that you bring up is that there’s also an emotional highlight that we can provide by giving you behind the scenes access or by giving you opportunities to exclusive content. GWW: Can you go into detail on that point? JA: Sure. We gave some of our investors set visits to go see Jay and Silent Bob Reboot filming in New Orleans. We flew them into New Orleans and Kevin Smith let them be in the movie as extras. GWW: That’s a better perk from any investment I’ve ever had! JA: There’s a lot more to it.. We do red carpet premieres which are normally entertainment industry only events where we’ll enable investors who are fans to come out and be a part of it all. Because they invested in Legion M they were able to get an experience of a lifetime. GWW: I get it. Investing in Legion M enables you to have access to and opportunities with the projects being produced. JA: Yeah, exactly. So, obviously, we can’t do it for everything. But every chance that we get to do it something like that we do it! Another great example is at the Sundance Film Festival. We go to Sundance every year and we have the Legion M lounge. And so as the Legion M investor you can come and hang out with us at the lounge! Two years ago we were there supporting our film, Mandy. Nic Cage crashed our after party and brought Vince Neil, the front man for Motley Crue, as his plus one. JA: Look, at the end of the day for some people investing and are in it for the financial opportunity. But there are also people that have invested a hundred dollars. That’s our most popular investment level. And for those people what would, they rather get? A ten percent return OR an opportunity to do a once in a lifetime thing? Legion M enables a shareholder to have fun being an investor! GWW: So what is the significance of the term ‘Legion’? To me, legion means being part of a large community. JA: Yeah, to me I’ve always felt the strength of Legion M is the community you get to be part of. GWW: Ok, so what is that exactly? 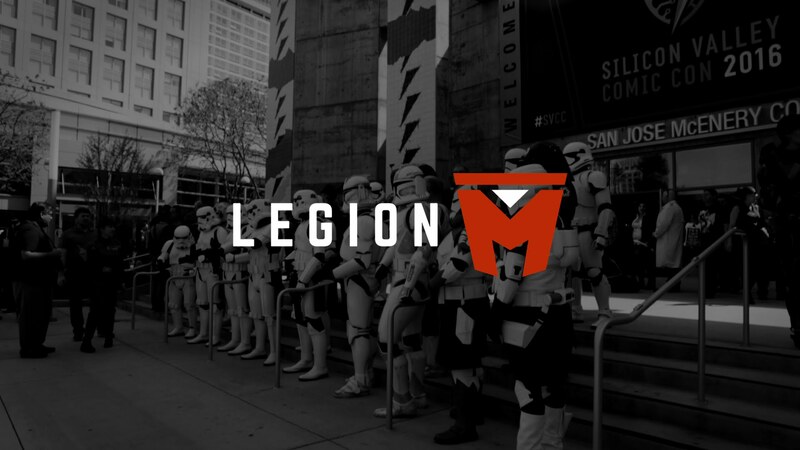 What is the importance of the Legion M community? JA: As a fan owned company it’s critical for us to keep our community engaged. This whole idea precipitated on the idea that if you invest in Legion M you will mostly likely be a fan of the projects we produce which then means you’re going to care about what’s happening with Legion M. I think one important thing to realize is that, and this is kind of the master genius behind it, Is the fact that all this stuff we’re talking about registers emotionally with our shareholders and the greater communities of fans of our brand of entertainment. GWW: That’s interesting. 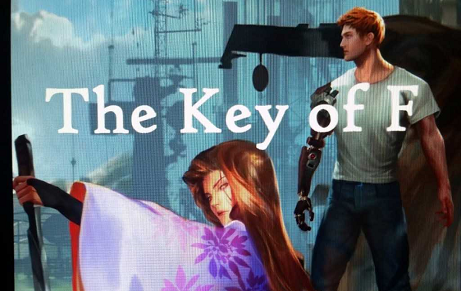 So, how would someone as an investor have a voice within Legion M? Could they communicate or pitch a concept for a television show or film to you? JA: So, I think that there’s probably two answers to that. One is we have a lot of tools that are set up to kind of gather that sort of feedback in a systematic way. So it’s not you saying hey I’ve got a great idea for something it’s us saying, ‘Hey, here are 15 different loglines for films. Buried within these log lines are a few great concepts. And we want to hear your feedback.’ That way we see where they end up ranking and that helps us make our decisions. There are a lot of opportunities like that to get involved. GWW: Ok, that’s one way. What’s the other? James Gavsie (GWW): Are you telling me that some members of the Legion M Facebook group were able to get a deal…largely because they happened to be members? That’s incredible! Jeff Annison: That’s exactly what I’m saying. To find out more about Legion M’s slate of projects or how to become an investor go to www.legionm.com. Also, check out the Legion M – Members Only group on Facebook.